When I first learned of this book, I was extremely excited, since it was such a fun premise - a kid who enjoys fantasy tropes and such learns he is the Chosen One for a fantasy kingdom, except the kingdom he is the Chosen One for is a completely drag and no one would ever want to be the Chosen One there. Add in the fact that DC Pierson, a member of the Derrick Comedy group (possibly best known for the hilarious Mystery Team movie), is the writer? Sign me up. When I talk about books, I tend to spend a lot more time on concepts and execution rather than the book itself. I have no clue why I gravitate toward that perspective, but I do. With Crap Kingdom, Pierson has done something fairly unique. It's a similar concept to the Terry Brooks Landover series, but with a definite comedic angle. The concept and the writer combined make for a very appealing prospect, but the book doesn't always work. At the end of the day, the book is more of a bait-and-switch. 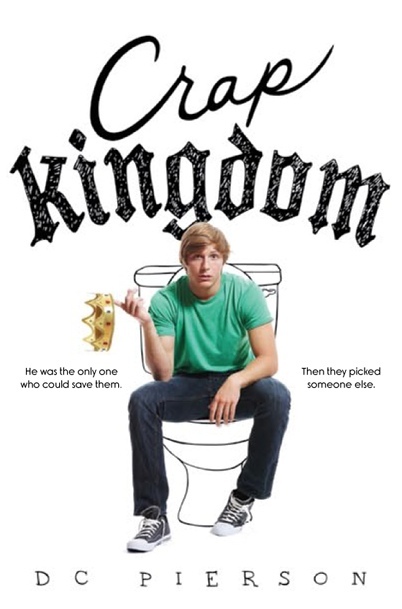 The kingdom is secondary to the power struggle within, there's a lot of teen angst in the real world that drives the narrative, and the end of the book throws a significant curveball that is both impressive in its sleight of hand as it is frustrating given the entirety of the book. This isn't to say it's a bad book, or that it's even not good. It's just different in ways I don't think worked. I will probably pick up anything and everything DC Pierson does for the immediate future. There's a lot to like about what's going on in his brain, and the book is well-written. This book in particular just isn't anything that really worked well for me on a whole. Spoiler Free Review: Iron Man 3!